uphuck, the genius behind the various iATKOS pre-made Mac OS X OSx86 distro releases, has been at it again with iATKOS ML2. What these distros allow you to do is to easily install Mac OS X onto just about any Intel-based PC. 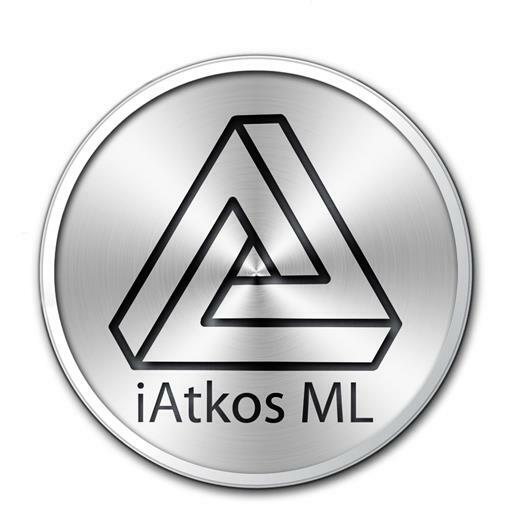 iATKOS ML2 is his latest-and-greatest release, featuring Mac OS X 10.8.2, and enough fixes to make most hardware work out-of-the-box. Continue reading for more information about the release. As mentioned, the base version of Mac OS X is 10.8.2, the latest version of the operating system. When new updates come out, you should be very careful when you update. Most advanced hackintoshers probably know what they’re doing, but if you’re new, you should do some research, or request for us to look into this for you. The requirements are pretty basic. For the CPU side of things, you’ll just need a modern Intel processor, from the Core 2 Duo to what we have today. AMD processors aren’t supported at this time, haven’t been for quite some time, and probably never will be. Motherboards are pretty open in terms of compatibility, which can be both good and bad. You’ll just have to test the installation to see how well things work out for you. Graphics is where things have been interesting over the past few years, as Apple has added support for more cards than they even put into their own Mac computers. If your computer uses integrated Intel graphics, only the HD 3000 (Sandy Bridge) and HD 4000 (Ivy Bridge) are supported. If your computer uses other, older integrated graphics by Intel, you’ll need to get a different GPU. If you’re on a laptop, then sorry, you’re out of luck. Fortunately, if you’re using an NVIDIA GPU, practically all cards from the GeForce 8xxx series to the latest GTX 6xx series should work. AMD/ATI support is there, but not as sparce. Radeon 4xxx through 6xxx cards have drivers that should work, and even the 7xxx series GPUs have seen beta support in the 10.8.3 beta. When it comes to networking, wireless cards tend to cause the most problems. Most wired/Ethernet cards will work just fine, most of them out-of-the-box, but for Wireless cards, Atheros and Broadcom provide the best compatibility. Some even work natively via AirPort. Many Intel and Realtek (RTL) solutions don’t work, so you’re better off buying a different wireless card, whether it be for your laptop or desktop. Audio is much improved in this particular distro compared to other ones, as your audio card/codec is automatically detected and fixed. Just note that not all sound cards will work via this method. Lastly, the basics, including RAM and disk space, is 1GB of RAM with at least 15GB of disk space. The legality of such things have been put into question many times, but as long as you’ve purchased a copy of Mountain Lion before (just $19.99 here), there shouldn’t be anything to worry about. However, if you don’t own a copy of Mountain Lion, then you shouldn’t download the torrent. The torrent can be found here. Inside, you’ll find some instructions, as well as a guide to get you going. While I’m waiting for my download to finish, the installation should be pretty straightfoward. After creating a new partition, simply burn the .DMG file to a DVD (Mac OS X: Disk Utility; Windows: Transmac) or USB drive, boot your computer from it, and install Mac OS X to the partition that you’ve made. I plan on doing a complete guide for iATKOS ML2 soon. Stay tuned!